As the Palmyra arch—destroyed by ISIS and recreated by archeologists and scientists—tours the world, preservation has been a hot topic this year. 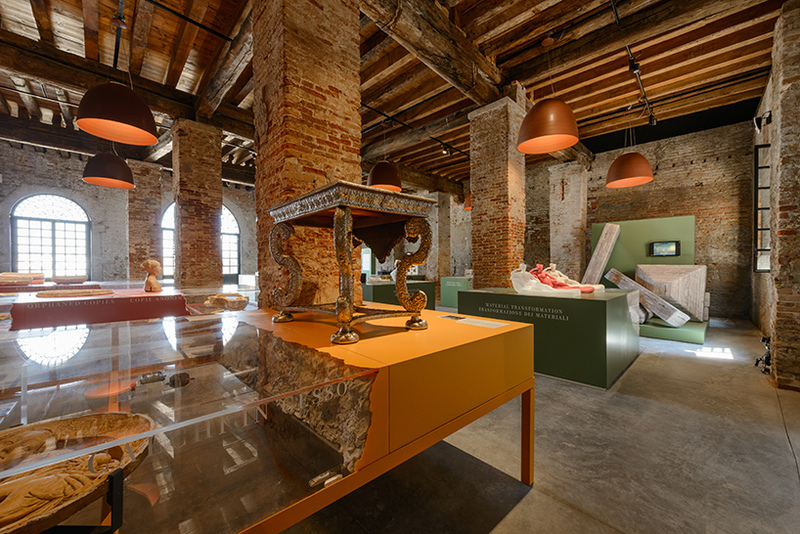 Building on this fervent global discussion, the Victoria and Albert Museum (V&A) from London exhibited A World of Fragile Parts at this year’s Biennale in Venice. 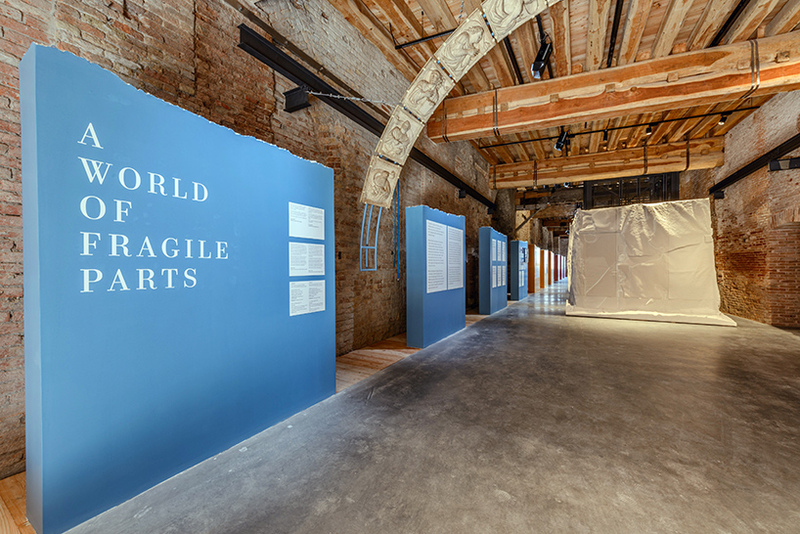 Located in the Arsenale, the exhibition was designed by London architecture studio Ordinary Architecture and curated by Brendan Cormier. 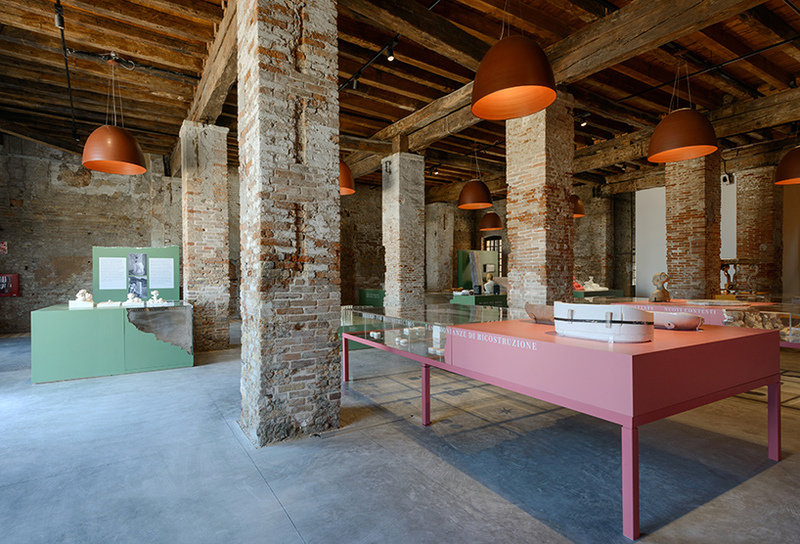 This was also the first time the V&A and La Biennale di Venezia had worked together. A World of Fragile Parts focuses on the phenomena of copies and raises questions about authenticity and the act of emulating artifacts. Does copying result in fakes? Rip-offs? Or acts of cultural preservation? The exhibition illustrates how museums have long been displaying duplicates. The V&A itself did so from the 1800s onwards by creating plaster casts of art and sculpture work. In 1867, “The Convention for Promoting Universally Reproductions of Works of Art” was set up by the V&A to aid the exchange of such copies (a reproduction of which is on show). “The [V&A] founding director, Henry Cole, had a mandate to bring examples of great art and architecture to a British public,” Cormier told The Architect’s Newspaper (AN) over email. “Since certain pieces were unmovable, especially architectural details from churches across Europe, he instead decided to commission plaster cast copies of those details and bring them to London.” The practice allowed locals to view artwork from across the globe, however, it eventually fell out of favor in the 20th century, with public opinion swaying to view such copies as unauthentic. On display in the exhibition is the head of the former Egyptian queen, Nefertiti. Originally discovered in 1912, the bust has been on display in the Neues Museum in Berlin since 1924. Despite many calls from Egypt to return it, the German museum has refused and has blocked access to the artifact. That didn’t stop artists Nora Al-Badri and Jan Nikolai Nelles, though. Without the permission of the museum, Al-Badri and Nelles scanned the head of Nefertiti using an Xbox Kinect controller and made a 3D print. The artists’ 3D-print—exhibited in Cairo but also publicly available under a Creative Commons License—is the most precise scan ever made public of the original artifact. “With the data leak as a part of this counter-narrative we want to activate the artifact, to inspire a critical re-assessment of today’s conditions and to overcome the colonial notion of possession in Germany,” the two artists said on their website. Working with Cormier, architect Sam Jacob created a full-size mock-up of a refugee camp from Calais, northern France. Using, wood, plastic, and CNC milled synthetic stone, the installation referenced the camp which has become a talking point between France and the U.K. as refugees camp on the border between the two countries.